View cart “20-Pound Fire Extinguisher Cabinet/Stand Combo” has been added to your cart. 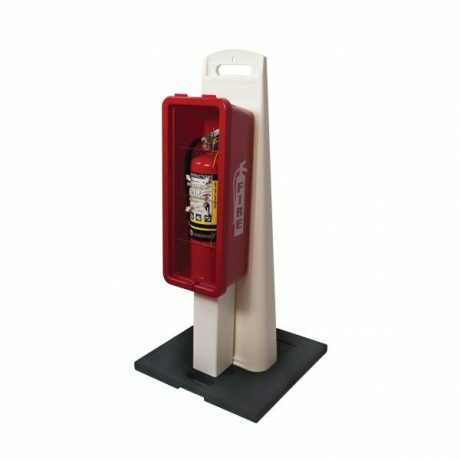 This fire extinguisher cabinet and stand combo makes it easy to store a 20-pound fire extinguisher in a man camp or other remote location or in appropriate places in an industrial setting. 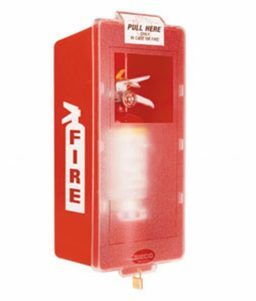 SKU: LS-FGSWC20BR Category: Fire Extinguisher Cabinets Tags: fire extinguisher cabinets, fire extinguisher holder, fire extinguisher stand Brands: Logistics. 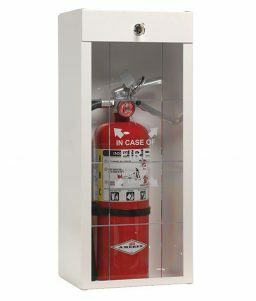 This combination cabinet and stand unit is designed to house a 20-pound fire extinguisher (not included), and is the perfect solution for industrial jobsites, remote man camps and other locations where it’s not so easy to mount fire extinguishers conveniently onto the wall. 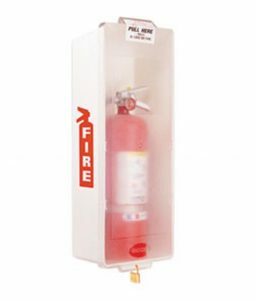 This fire extinguisher combo unit is constructed from rust-proof and fade-proof materials that meet OSHA requirements as well as California’s safety standards. 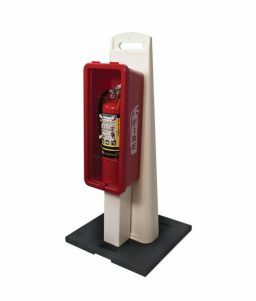 The fire extinguisher cabinet and stand are built with scored break fronts, cylinder locks, and handles for easy carry. They’re also flame resistant. The cabinet and stand can be nested today to reduce storage requirements and to make them easier for transport. Heavy-duty rubber bases and informational decals are standard as well. The size of this fire extinguisher combo stand and cabinet is 43 inches tall x 20 inches wide x 20 inches deep. The stand is white, and the extinguisher cabinet is red with white print. White Tub With Red Cover Indoor Fire Extinguisher Cabinet – Mark I Jr.